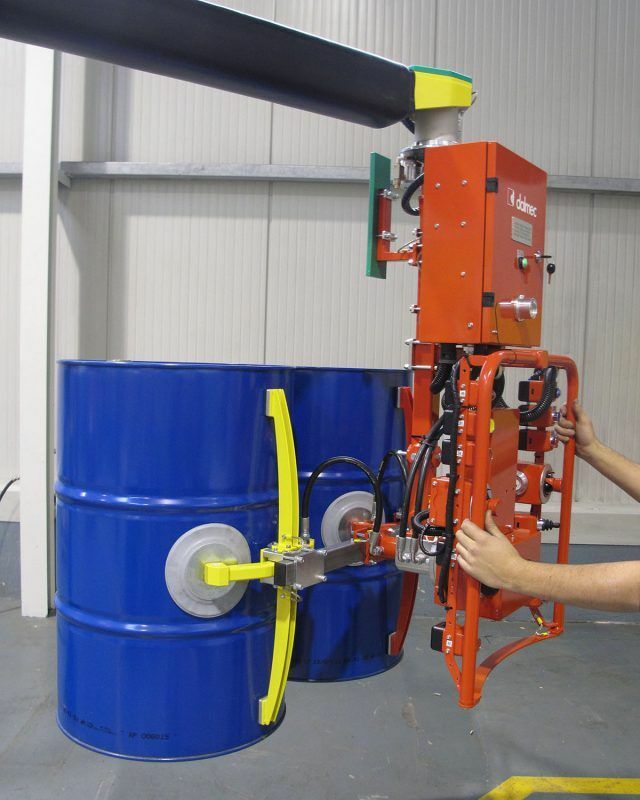 Manipulator Partner column mounted version equipped with suction cups tooling (Venturi) for the gripping of one or two drums at the same time. 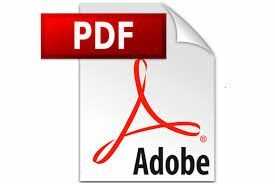 The tooling is able to overturn of 180° the load through a pneumatic device. 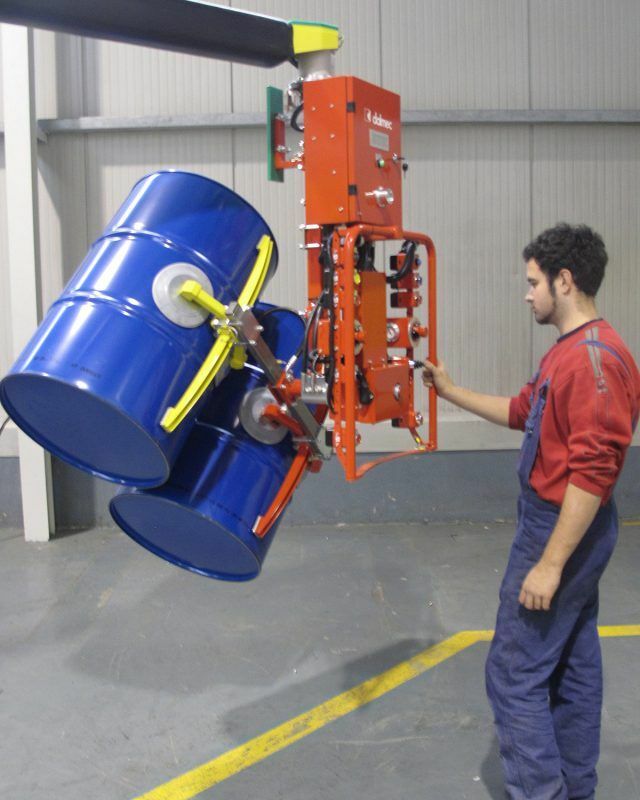 Dalmec manipulators allow you to lift and handle heavy products with the greatest ease. Whatever industry you work in, we always have a tailored solution for you. Well-trained design staff are able to develop state-of-the-art equipment, which ensure the operators ergonomic use of the Manipulators. 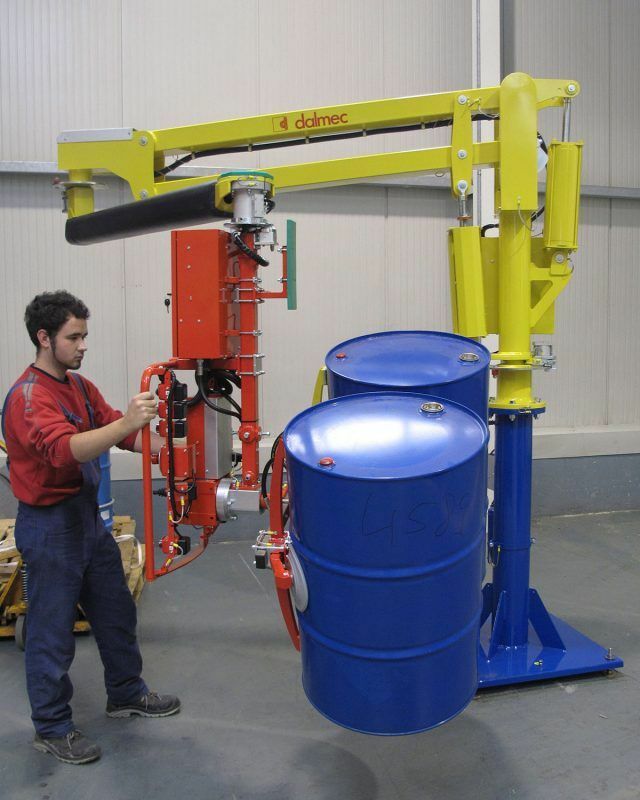 Pneumatic manipulator Partner type, column mounted version for drums with suction cups tooling (Venturi) for the gripping of one or two drums at the same time.